Police are investigating a fatal crash involving a motorcycle in North Las Vegas. The crash happened at N. 5th & Craig Rd. at 5:45 a.m. Wednesday. when the driver turned south onto North 5th. At the same time, the motorcycle, moving at a high rate of speed, was heading east and crashed into the truck. First responders found the 26-year-old male motorcyclist in the road when they arrived. He was pronounced dead at the scene. speed is more often than not a deadly factor when it comes to crashes. 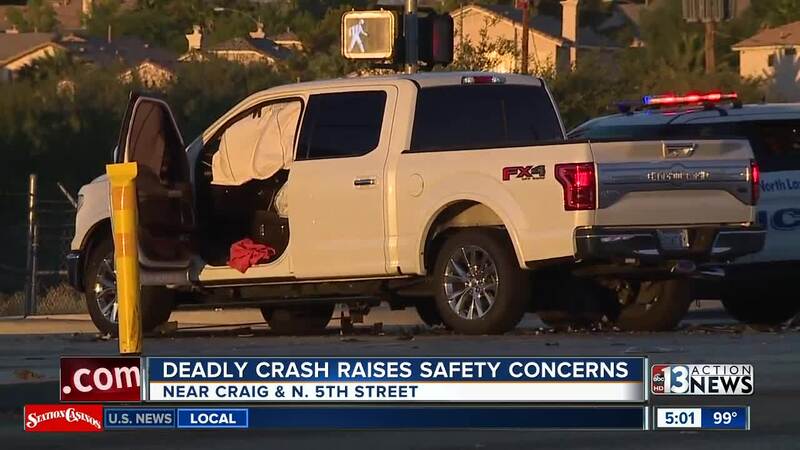 North Las Vegas Police are looking for more witnesses and details about this crash. If you were in the area Wednesday morning, you are asked to give police a call.